Services - Quinn Consulting Services, Inc. Upon project notice-to-proceed (NTP), Quinn professionals will schedule and conduct activity preparatory meetings. During these meetings we will discuss activity schedules and procedures, specifications, materials testing requirements, safety concerns, public relations, and the establishment of activity witness and hold points. 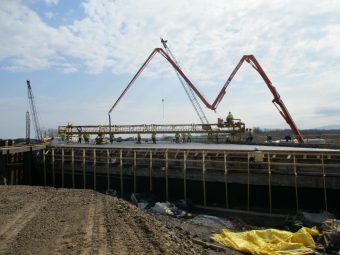 Once an activity begins, Quinn QA/QC inspectors will clearly document the contractor’s work on standard forms, complete activity specific checklists, inspect and test materials, and work closely with contractor personnel to identify and resolve any noted deficiencies at the lowest possible level. For those deficiencies that rise to the level of non-conformance per the approved contract documents, Quinn QA/QC managers will issue the appropriate non-conformance reports and track each issue to successful resolution. Quinn has supported our clients from all perspectives on large and small design-build projects. We have worked as owner QA representatives, contractor QC inspectors, and consultant engineer quality assurance managers where we have served as an integral part of project QA/QC teams delivering a quality product by working in partnership with owners, design engineers, and contractors. Quinn offers a wide range of coating inspection services. We provide on-site quality control inspection of coatings and/or linings during construction, maintenance, or repair of structures. Our staff is available to inspect existing coating or lining systems for failure, and/or assist with claims associated with coating system implementation problems. We also offer management for lead-based paint abatement from municipal (tanks) and industrial (bridges, pipelines, etc.) structures to help our clients with independent verification of environmental compliance issues. If needed, Quinn staff can assist with documentation management prior to construction kick-off to help clients ensure that all required permits are in place, safety plans are complete, schedules are realistic, and to identify potential risks associated with the project before it begins. We serve state and municipalities, engineering companies, contractors, and developers on a wide range of transportation, building, plant, environmental and utility projects. 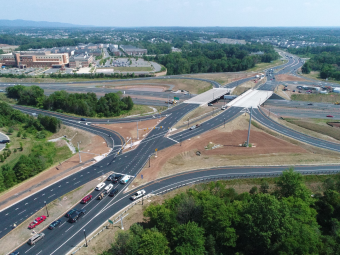 As one of the highest volume interchanges in the region, the goals of this project were to increase off-ramp capacity and eliminate difficult arterial weaving movements on Northampton Boulevard. The project was completed six weeks ahead of schedule. 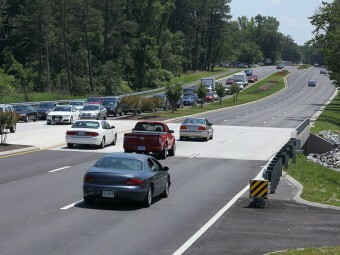 The Hampton Boulevard (Route 337) Grade Separation project was part of a multi-phase plan to improve transportation around the Norfolk Naval Base and Norfolk International Terminal. 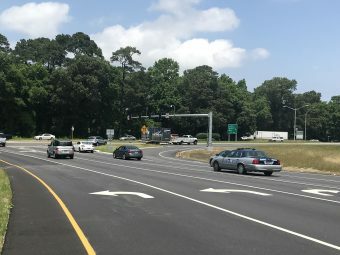 The roadway improvements in this project increased the capacity of George Washington Memorial Highway between Hampton Highway and Wolf Trap Road, from four lanes to six lanes, with three lanes in each direction. 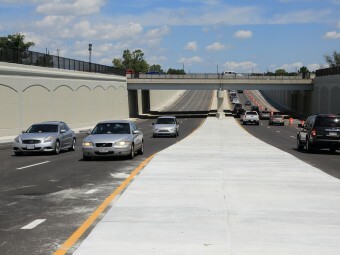 The goal of this project was to provide major safety improvements at the I-81 exit 14 interchange. Since the interchange was first constructed in the 1960s, truck traffic had increased by as much as 40 percent. To expand highway capacity in this heavily congested corridor, this design-build, public-private project extended the HOV system and added new entry and exit points to create a seamless connection to 495 express lanes, Tysons Corner and Dulles Airport. 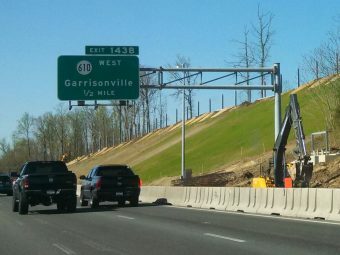 Quinn provided quality assurance management for this $59 million project to build a diverging-diamond interchange (DDI) on U.S.15 at I-66. This DDI was the first to be built in Northern Virginia, and the project was completed on time and on budget. DC Water’s Clean Rivers (DCCR) project is an ongoing program to reduce combined sewer overflows into the District’s waterways—Anacostia and Potomac Rivers and Rock Creek. 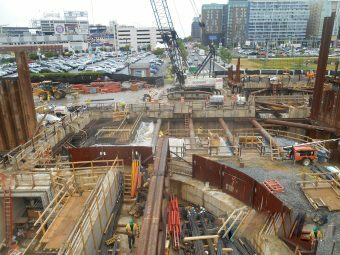 The $2.1 billion Downtown Tunnel/Midtown Tunnel/MLK Extension project involves three facilities in the Hampton Roads region of Virginia. 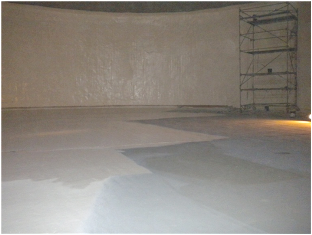 QCS performed coating inspection services during the field structural and coating activities of five elevated water storage tanks located in Petersburg, Burkeville, and Lynchburg in the Commonwealth of Virginia. 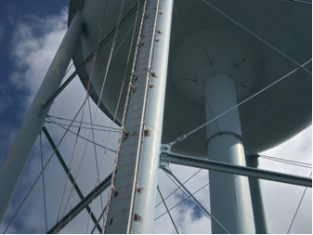 Quinn Consulting Services, Inc. provided coating inspection services for Spotsylvania County Utilities Department. The purpose of the third party coating inspections was to ensure the work conformed to the project specification. 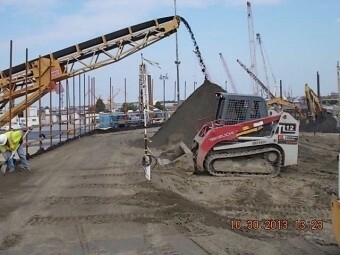 As a prime consultant to the Virginia Port Authority (VPA), Quinn has provided construction phase services on the VPA facilities located at the Norfolk International Terminal (NIT), the Portsmouth Marine Terminal (PMT), the Virginia International Gateway (VIG), and the Craney Island Expansion. 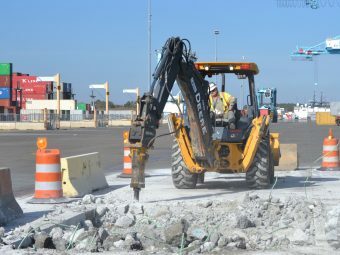 Projects have included the installation of cross dikes at Craney Island, oyster mitigation, electrical improvements, and other Port improvements.